In 2017, there were 1,749 religiously motivated hate crimes in the U.S. Fifty-eight percent of those were driven by anti-Jewish bias, according to the FBI. This is especially alarming considering that Jews only make up approximately 2 percent of the U.S. population. The incidents include desecrated graves, vandalism, physical violence and bomb threats. It is clear that Jewish communities are increasingly threatened. Last October, an assailant murdered 11 Jews at the Pittsburgh Tree of Life Synagogue, while shouting “all Jews must die.” It was the deadliest attack on Jewish people in U.S. history. These events are reflective of the rise in right-wing violence and, as a descendant of a Holocaust survivor, I am frightened. My grandmother survived Bergen-Belsen, and in 1967, my mother and her family were expelled from their centuries-long home in Egypt by President Gamal Abdel Nasser. They, along with many other Egyptian Jews, had their citizenship revoked and property confiscated. I know what anti-Semitism leads to. Fortunately, it’s easy to recognize and condemn violent incidents as anti-Semitic when they occur, but not all anti-Semitism stems from right-wing violence; anti-Semitism is a systemic problem. It affects all sides of the political spectrum and ignoring this reality will only benefit the Republican Party. As a Jewish Democrat, I want my political party to be welcoming and inclusive. In order to live up to the ideals the Democratic Party preaches, they need to recognize that anti-Semitism exists in their ranks and confront it directly. Anything less gives Republicans a chance to divide Democrats and court the Jewish vote. Republicans run ads that invoke age-old anti-Semitic tropes frequently. However, anti-Semitism on the left is less overt. 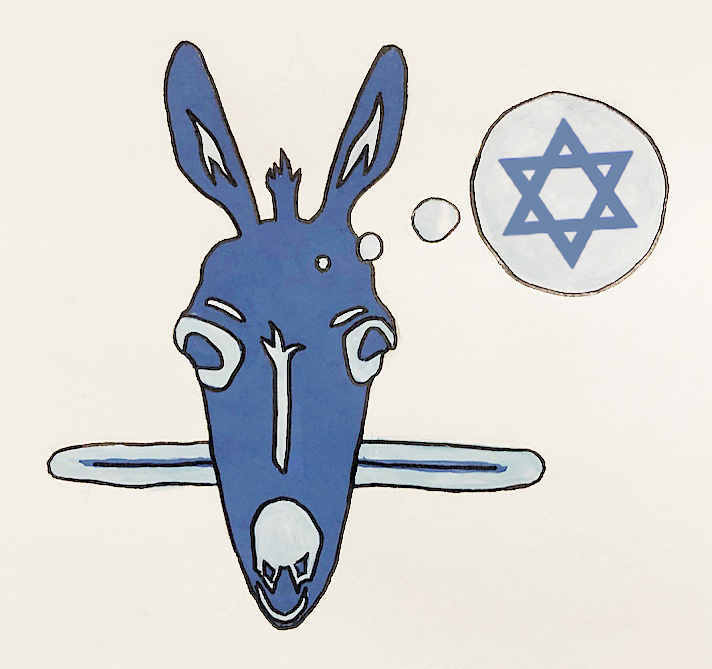 Most recently, Rep. Ilhan Omar (D-Minn.) claimed that support for Israel is “all about the Benjamins” and that Jews, through supporting the American Israel Public Affairs Committee (AIPAC), buy influence to a “foreign country.” Omar offended many Jews — including myself — by invoking the image of the money-obsessed and disloyal Jew used heavily in Nazi Germany. Jews are often told they are only claiming there is anti-Semitism because they want to distract from the Israeli government’s human rights abuses. Unfortunately, this is also anti-Semitic because it attempts to define what anti-Semitism is for Jews. It detracts from the substantial historical and cultural claims Jews have to Israel, by suggesting they have ulterior motives and pursue “Jewish interests” using their money. I am no fan of Benjamin Netanyahu’s far-right government and human rights abuses, but this does not mean I cannot call out anti-Semitism when I see it. Fortunately, the House passed a resolution condemning anti-Semitism and other forms of hatred. Omar recently wrote an op-ed piece for the Washington Post recognizing Israel’s right to exist alongside a Palestinian state and the cultural importance Israel has to many Jews, especially after the atrocities of the Holocaust. I hope that going forward, our discussions about the future of Israel are in line with her words. It is important to recognize the difference between criticizing the human rights abuses of the right-wing Israeli government and claiming that Israel should not exist at all. Israel should not be singled out or cast as evil, as Jews historically have been. Israel is not the only country with records of human rights abuses, yet it receives a disproportionate amount of criticism. According to UN Watch, the United Nations General Assembly passed 27 country-specific condemnations in 2017. Twenty-one of those were targeted at Israel. Other countries with abysmal human rights records received significantly less criticism: North Korea was condemned only 9 times, and China was not condemned at all. And this is not an outlier. In the first decade of the UN Human Rights Council, the committee condemned Israel 68 times and the entire rest of the world only 67 times. This is not to say that we should ignore Israel’s human rights violations, but Israel should not receive a disproportionate amount of criticism. Finally, the idea that Israel is an apartheid or genocidal state is deeply incorrect. Israeli universities admit non-Jews, and non-Jews have the right to vote and can be elected to the Knesset. This was not true of black South Africans during apartheid. Similarly, the suggestion that Israel is committing genocide is insulting and delegitimizing to Holocaust survivors. The term denotes the premeditated and systematic mass murder of a population like the Final Solution, and no such evidence exists in Israel. This claim ignores that Israelis are threatened by terrorism as well, and it invokes the Holocaust by Nazifying Jews. When this sort of dialogue circulates in our intellectual spaces, Republicans take notice. They are already trying to divide Democrats by pushing bills that condemn anti-Semitism, despite being major perpetrators of it themselves. Recognizing that anti-Semitism exists on the left would be taking a meaningful step to combat it and create an inclusive environment for Jews. It also is the best way to prevent Republicans from distracting us from their own bad record and dividing Democrats in the process. Josh Schapiro is a sophomore biology major. He can be reached at jschapiro@oxy.edu.